The debut album from the man billed as "the South West's answer to Cut Chemist", following on from a slew of mix CDs and scratch tools he's released. Fallen On Def Ears ignores current dominant trends in hip hop production and instead opts for a more vintage sound, full of cuts, scratches, reconstituted funk breaks and soulful vocal snippets. Obvious reference points would be... well, much of the Ninja Tune catalogue, although on a song like 'Save Your Breath' it gets even more Freshers Week-circa-1996 with a shameless nod towards big-beat, coming across as being a bit Norman Cook. 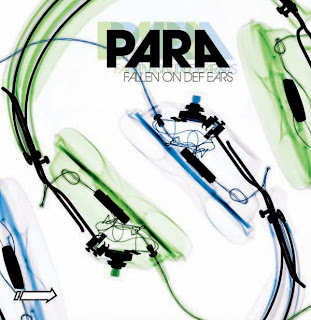 Productions like 'Rescue Me' and 'It's The Hornet' are arguably more successful for sounding more like old 45s in their own right, and when it comes to stitching together samples in a classic cut & paste fashion, Para's clearly got a real craftsman's ear.